OK, so the recent Cambridge Analytica – Facebook scandal has ruffled the Internet's collective feathers. Once again, we are reminded that we live in an era where it's a bit too easy to overshare. If you are still fuzzy on what all the data has been used for — political consultants use the information gathered to target different types of people with different types of ads. Based on the data, the politician is advised on where they should hold a speech, what to say, how to “brand” themselves. Attempts to manipulate the masses are nothing new and certainly not exclusive to the post-Facebook era. But it's a good idea to try and not make it too easy. 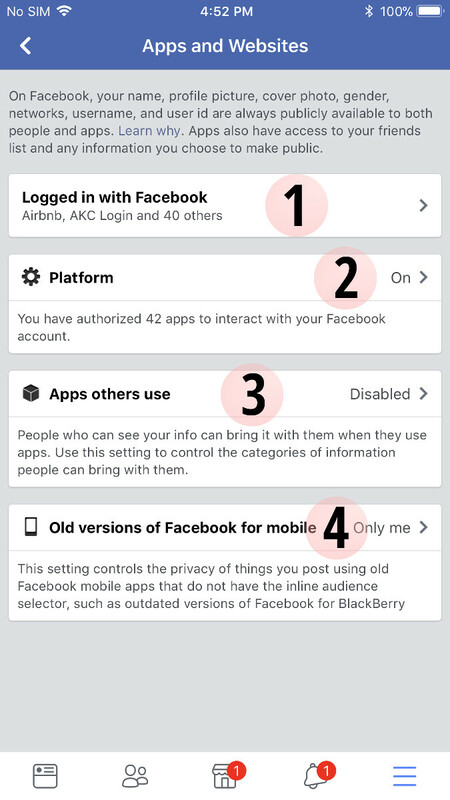 After all, does the Facebook app really need all the permissions we are giving it? Do we really need to tag every activity and every location we visit? Nope. 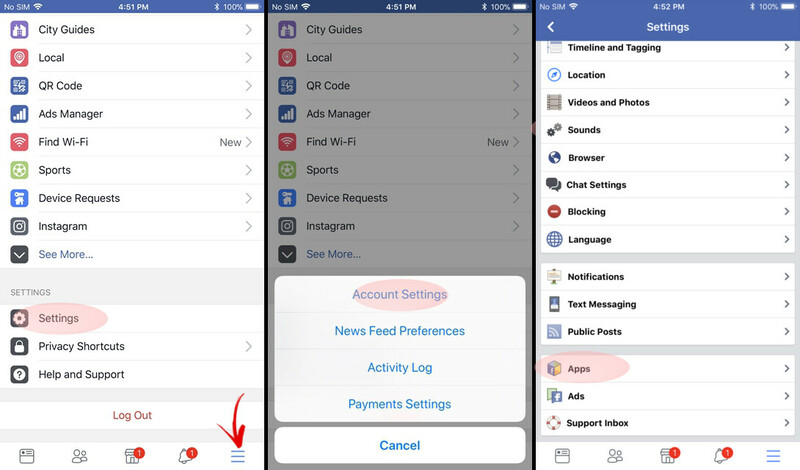 On your iPhone, open the Settings app and scroll down until you find Facebook. If you have ever given Facebook the permission to look for your Location, use your Camera, or Microphone — this is where you can disable those permissions. If you want to tag yourself for being at a bar — you can do so manually, by looking for the place within the app. If you want to upload or send a photo — take it with your dedicated Camera app, then send it within the Facebook app. Easy as that, no need to grant those permissions if you are feeling paranoid about them. If you have Messenger, WhatsApp, and Instagram installed, you can do the same for them. Same rules apply. Go into Settings → Apps → Facebook → Permissions. You can disable Location here. 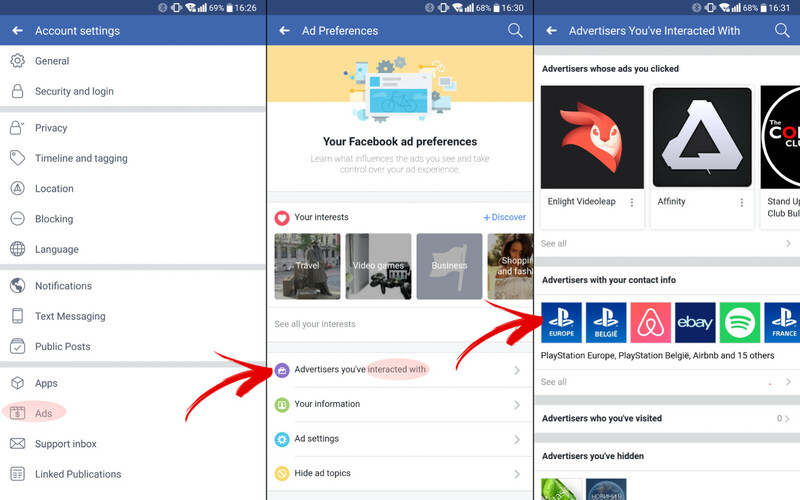 Now, a lot of speculation is going around that Facebook may or may not be using your phone's microphone to listen for keywords that may help with ad targeting. We won't go as far as to comment whether these are true or false, but if you are worried about this, go ahead and disable access to Microphone and Camera. From here on out, whenever you want to share a clip or photo, don't take it with the Facebook app. Instead, go into your Camera, take your photo, go back to Facebook and share them manually. If you have Messenger installed, and you most probably do — do the same with its permissions. Same goes for Instagram and WhatsApp. You can easily share videos and pictures that you've already taken with your Camera through those apps — no reason to give them access to your phone's resources. Now, open up the Facebook app and access the sandwich menu, which is the rightmost tab. Scroll down to Account Settings → Privacy. In “Manage Your Profile”, you will be able to manage your profile data — the city you live in, where you went to school, your workplace, phone number, family and relatives. You know, if you delete these now, there's no guarantee they will actually be wiped from the Internet forever. But at least take a mental note of what you've shared and what you'd like to not share in the future. 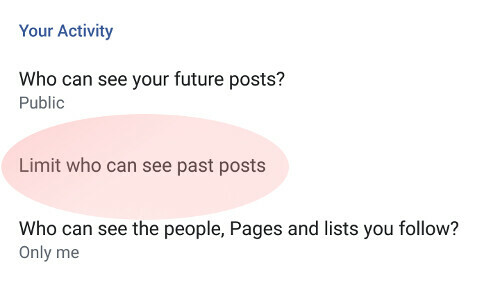 Back in Privacy, the “Limit who can see past posts” option is also a great “nuke it all” option if you suddenly feel remorseful about sharing too many posts with a setting of Public or Friends of Friends. Basically, it will instantly switch all your posts that you've ever made to the “Friends” setting. This means that anyone who is marked as “acquaintance” or anyone who is not your friend at all will not be able to see them, unless they are tagged in them. Go back to the Account Settings sub-menu and enter Location for a brief moment. Since we removed the Location permission from the phone's settings, you will be warned that the toggles in this menu won't work unless you grant that permission back. That's OK, we're not here to do that. 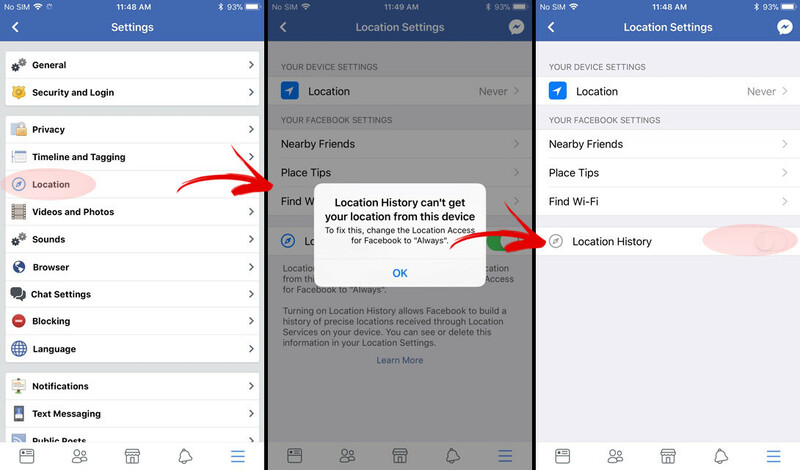 Get rid of the prompt and turn off “Location History”. 1. Logged in with Facebook — this will give you a list of all the apps, polls, games, and services you've ever synced to your Facebook. Guess what, even if you uninstall the app, the service itself still has permission to access your profile. So, scan through them carefully and delete any one you no longer use. 2. Platform — this is the “nuke it all” option for the above tab. If you want to stop the Facebook platform from interacting with any website, any app, and any service you ever visit, enable this. This means that, from now on, you will have to use alternative methods to log in other apps, if such are available. 3. Apps others use — the main issue with the Cambridge Analytica scandal was not only that they siphoned profiles of people that were taking an online quiz, but also managed to collect all of the data on those people's friends lists. In fact, many apps will do this — they will ask for access to your friends list and then collect names, pictures, bios, posts, current city, activities and so on. Enter this menu and turn off everything. 4. Old versions of Facebook for mobile — this menu should only concern you if you have an ancient smartphone with a really old Facebook. Back in the day, you couldn't choose which groups of people should be able to view your posts. This option here lets you lock in a default setting for a post's audience, in case you still use an old BlackBerry from time to time. Once more, go back to Account Settings and enter the Ads sub-menu. 2. Advertisers you've interacted with — this is an important sub-menu. It will not only show you which advertisers' ads you've clicked on, but also which one of them actually have your contact info. 3. 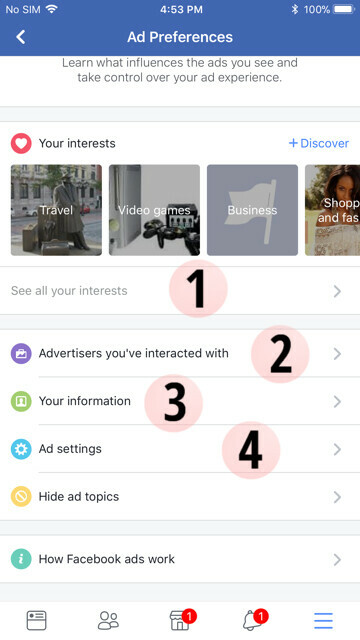 Ad Settings — pretty basic, this is where you choose whether or not the data that Facebook has on you can be used to target you with ads that are more relevant to you. 4. Hide Ad Topics — this sub-menu can be used if you're tired of seeing ads for specific categories like games, pets, et cetera. You can disable Ad Topics for 6 months, 12 months, or forever. Now that we've gone through the settings and permissions, it's time to have a real talk about what we are actually posting, liking, and sharing. the Facebook algorithm to go "Hey, this guy likes pizza!". And, of course, a crazy selfie shared among friends can do no harm. You may want to pay careful attention to your audience settings for every post — cycle through "Public" and "Friends" regularly. “But Facebook analyzes photos and now it knows how I look!”. Yeah, so does Google and Apple. Our point is — if you want to keep your mugshots out of digital farms, be really, really careful which cloud services you upload to. And do know that whatever you've uploaded thus far is there forever. On the other hand, sharing your family tree, doing a photo-dump of the last birthday party or wedding you attended, getting into every political or religious discussion, filling out your profile data to the T... those things might be a bit too much. By not using that trash. Agreed. STOP USING FACEBOOK. Evil company ran by Evil people. True. Samsung forced on me the Facebook app though! But I hardly have a credible personal profile on Facebook anymore. Use a fictitious name like Mike Hunt or Jack Meoff. Let 'em chase rabbits all day long. Or maybe like a Hugh Jazz, Jacques Strappe, Amada Huggenkiss or any of the names that Bart uses to prank Moe. I used a fake name for many years. Just to keep in touch with family abroad. Out of the blue, Facebook deleted my account and asked me to provide them MY DRIVERS LICENSE and SOCIAL SECURITY NUMBER to re-activate my account. (I'm dead serious.) To hell with facebook. The whole thing is f**king stupid. Nothing changes in your miserable life when Facebook uses your data. Maybe not in his, but definitely in yours. If you don't grasp the gravity of this well then good luck. If you want to use Messenger and WhatsApp like they are meant to be used, they need to have access to microphone and camera.